The goal of Signs & Seasons is to help the reader become an outdoor observer of the sky, and to understand how the sky is the foundation for timekeeping and navigation—according to the cycles of the sun, moon, and stars. 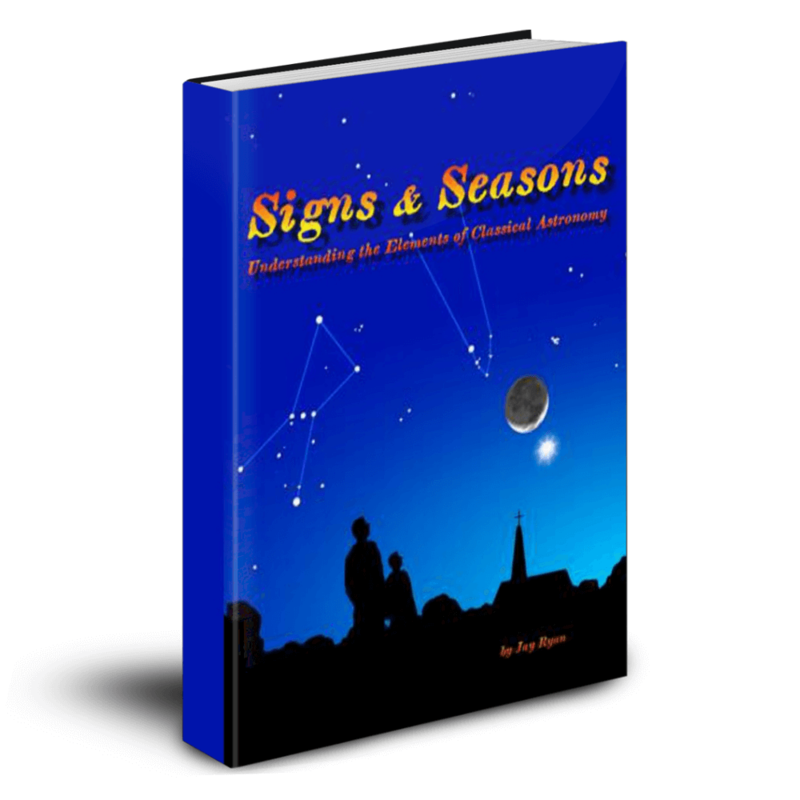 Signs & Seasons is the recommended textbook for the Experience Astronomy Basic course, and it is required for the Advanced course. Textbook is not needed for the Elementary course. Presenting a biblical perspective on astronomy—”for signs and seasons” (Genesis 1:14)—this artfully illustrated book gives students a deeper look at the sun, moon, and stars. 225 pages with index and astronomical tables.